What Is the Difference Between Regular Interest & Accrued Interest? Accrued interest is interest owed but not yet paid. 2. How Often Is Interest Accrued on a Savings Account? Investing your money in a bank product or bond or borrowing money from a financial institution typically involves some type of interest. Interest is the regular payment made in exchange for borrowing money. Interest typically isn't paid instantaneously or daily, meaning that it's possible to owe money in interest on a loan based on how much time has passed without the bill immediately being due. Accrued interest is an accounting term used for interest that will be due to the lender but isn't paid out yet. Accrued interest isn't a special kind of interest but simply interest earned in the usual way that hasn't yet been paid. On a corporate balance sheet, you can usually find it reported as a current asset. When you borrow money, the lender charges interest on the loan until you repay the money. Interest is the cost of borrowing money from a financial institution. 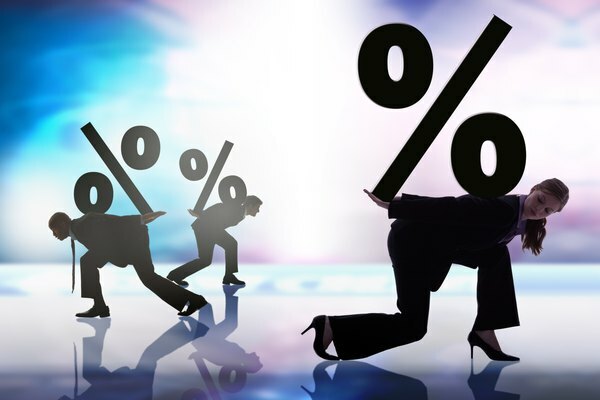 Banks typically charge interest based on a percentage of your loan, which is determined by your credit history, and the regular interest rate determined by the economy and the Federal Reserve. If you borrow $1,000 at 6.25 percent interest and pay the loan off in a year, you will pay $62.50 in interest. If the loan takes you longer to pay off, you will pay more interest, assuming there are no special provisions such as prepayment penalties in effect for the loan. You have many ways to earn interest. When you deposit money in an interest-bearing account, the financial institution pays you interest to use your money. An interest-bearing account can include a money market account, savings account, high-yield checking account or certificate of deposit. Another way to earn interest is to buy a bond, which is a type of IOU. When you purchase a bond, you lend money to a government or company to fund projects. The borrower promises to repay you the money with regular interest payments. The bond can also be sold to other investors, meaning you don't have to wait until its term expires to get your money back with some profit, similar to how you can buy and sell stocks. Accrued interest is the interest charged but not paid. For example, if you buy a savings bond from the U.S. Treasury and the bond pays interest every six months, the interest earned between the first month and sixth month is accrued interest until the Treasury pays at the end of the sixth month. If you cash in the bond before the six-month interval, the department will pay the value of the bond and the accrued interest earned. You may also see accrued interest listed on your online bank statement for a bank that pays interest once a month or on some other interval. It's not fundamentally different in how it's computed or how it works than any other interest you receive, except that it hasn't been paid out yet. If you sell a bond and receive a payment from the buyer for accrued interest on the bond, that's usually taxable income that you need to report to the Internal Revenue Service when you file your taxes. Accrued interest is a liability to the borrower and an asset to the lender. Because it has not been paid, the borrower must record the accrued interest in the accrued interest payable account, which is a liability. The lender must recognize the accrued interest as revenue and record the transaction in the accrued interest receivable account, which is an asset. It's usually recorded as a current asset on a company's balance sheet, meaning it will be converted to actual cash within a year. For a sizable loan, accrued interest can be a big number than might influence investors or corporate decisions. AccountingCoach: What Is Accrued Interest? AccountingCoach: Where Does Accrued Interest on Notes Receivable Get Reported?